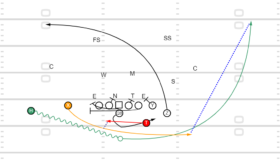 The Slot Fade is as great play vs man coverage. Running the fade with the slot gives the QB more space to throw the ball to the receivers outside shoulder without throwing him out of bounds. 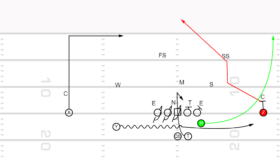 If you get tricked by the defense and they are playing zone you always have the hitch or the hole shot with the fade. 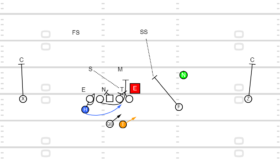 QB Vs Cover 2 same as Smash read flat defender. If you take the Fade rifle it it in. 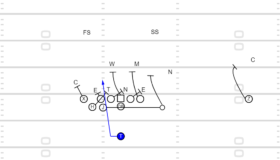 Vs man throw the fade, give him a chance throw it outside. where DB cant get it.